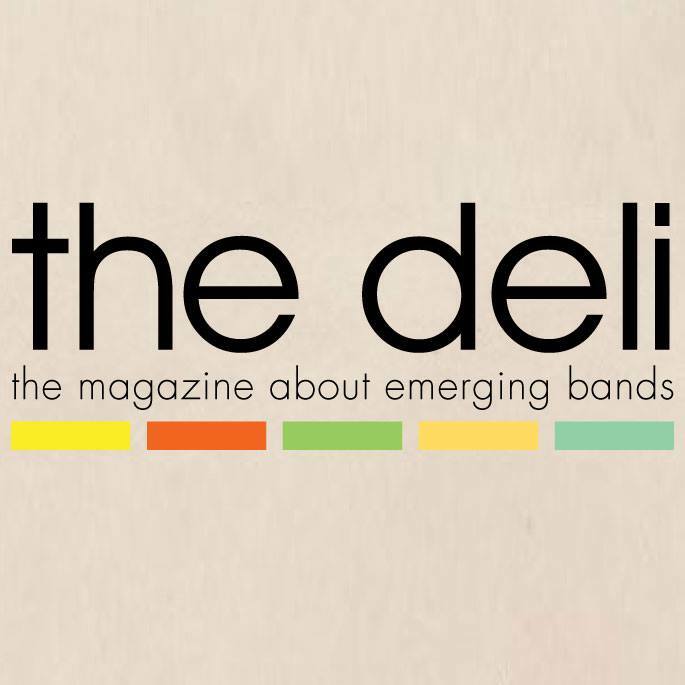 The Deli Magazine is The Revolution’s media partner. Find coverage on local artists and musicians performing in upcoming Volume’s of The Revolution at thedelimagazine.com. Courtesy of RIDER, The Revolution is able to provide $4 tall-boy beer specials all night during each vol. of the series. August 25th, 2018 — 10pmThe Revolution is a monthly showcase highlighting the best emerging musicians from Brooklyn & Harlem. July 28th, 2018 — 10pmThe Revolution is a monthly showcase highlighting the best emerging musicians from Brooklyn & Harlem. June 23rd, 2018 — 10pmThe Revolution is a monthly showcase highlighting the best emerging musicians from Brooklyn & Harlem. May 26th, 2018 — 10pmThe Revolution is a monthly showcase highlighting the best emerging musicians from Brooklyn & Harlem. April 28, 2018 — 10pmThe Revolution is a monthly showcase highlighting the best emerging musicians from Brooklyn & Harlem. March 24, 2017 — 10pmThe Revolution is a monthly showcase highlighting the best emerging musicians from Brooklyn & Harlem. Feb 24, 2017 — 10pmThe Revolution is a monthly showcase highlighting the best emerging musicians from Brooklyn & Harlem. Jan 27, 2017 — 10pmThe Revolution is a monthly showcase highlighting the best emerging musicians from Brooklyn & Harlem. Dec. 16, 2017 — 10pmThe Revolution is a monthly showcase highlighting the best emerging musicians from Brooklyn & Harlem. Three unique takes on hip-hop + soul grace this special volume. Nov 18, 2018 - 10:00pm THE REVOLUTION is a performance series highlighting Brooklyn & Harlem based artists + musicians that not only represent the core of independent pop culture but who currently stand in the breeding ground of evolution within their genre. As a part of VOL. 21, The Revolution will feature three incredible live performances from local artists: Fusilier, Shenna, and Lohai. Oct. 21, 2017 - 10:00pm As a part of VOL. 20, The Revolution will feature three incredible live performances from local artists: Chandanie O, Looms, and Born Relic. August 26, 2017 - 10:00pm THE REVOLUTION is an emerging performance series, highlighting Brooklyn & Harlem based artists and musicians that not only represent the core of independent pop culture in 2017 but who currently stand in the breeding ground of evolution within their genre. This volume features Valerie Orth, The Odd Hawk Orchestra, and Khemestry. July 29, 2017 - 10:00pm THE REVOLUTION is an emerging musical series that highlights artists and musicians that not only represent the core of independent pop culture in 2016 but who are standing in the breeding ground of an evolution within their genre. This edition will feature live performances from Bridget Perez, beccs, and Cross Culture. June 24, 2017 - 10:00pm THE REVOLUTION is an emerging musical series that highlights artists and musicians that not only represent the core of independent pop culture in 2016 but who are standing in the breeding ground of an evolution within their genre. May 27, 2017 - 10:00pm THE REVOLUTION is an emerging performance series, highlighting Brooklyn & Harlem based artists and musicians that not only represent the core of independent pop culture in 2017 but who currently stand in the breeding ground of evolution within their genre. April 22, 2017 - 10:00pm THE REVOLUTION is an emerging performance series, highlighting Brooklyn & Harlem based artists and musicians that not only represent the core of independent pop culture in 2017 but who currently stand in the breeding ground of evolution within their genre. This edition of The Revolution will feature: Katy Lueck, Elle Winston, & Emily Elbert. March 18, 2017 - 10:00pm THE REVOLUTION is an emerging performance series, highlighting Brooklyn & Harlem based artists and musicians that not only represent the core of independent pop culture in 2017 but who currently stand in the breeding ground of evolution within their genre. This edition of The Revolution features: Marie Davy, Iris Lune, Nikara Warren presents: Black Wall Street, Arthur Moon, Jakk Tha Rhyma, & (U)nity. January 21, 2017 - 11:00pm As a part of VOL. 11, The Revolution will feature three incredible live performances from local artists; CE, Krychek, and Kala & The Lost Tribe. THE REVOLUTION is an emerging performance series, highlighting Brooklyn & Harlem based artists and musicians that not only represent the core of independent pop culture in 2017 but who currently stand in the breeding ground of evolution within their genre. November 26, 2016 - 10:00pm THE REVOLUTION is an emerging musical series that highlights artists and musicians that not only represent the core of independent pop culture in 2016 but who are standing in the breeding ground of an evolution within their genre. ft. Jakk The Rhymer, Singularity, & Johnny Uniteus. September 24, 2016 - 10:00pm THE REVOLUTION is an emerging musical series that highlights artists and musicians that not only represent the core of independent pop culture in 2016 but who are standing in the breeding ground of an evolution within their genre. June 29, 2016 - 10:00pm THE REVOLUTION is an emerging musical series that highlights artists and musicians that not only represent the core of independent pop culture in 2016 but who are standing in the breeding ground of an evolution within their genre. May 18, 2016 - 10:00pm THE REVOLUTION is an emerging musical series that highlights artists and musicians that not only represent the core of independent pop culture in 2016 but who are standing in the breeding ground of the evolution within their genre As a part of VOL. 3, The Revolution not only features two live performances from Brooklyn based artists; Bae Bro & (U)nity but also, will premiere a documentary featuring (U)nity’s journey through music, evolution within their genre. friendship & the creative process behind their second album: “(U)nity Is Power”. Mar 26, 2016 - 10:00pm THE REVOLUTION is an emerging musical series that highlights artists and musicians that not only represent the core of independent pop culture in 2016 but who are standing in the breeding ground of the evolution within their genre. For our debut, The Revolution brings you three Brooklyn based artists; FLOW STATE, Nikara Warren & L.atasha A.lcindor.